Can you believe that it's already September?! I absolutely love this month because it's the beginning of Fall (even if Fall is still ninety degrees here in Alabama) and because this is the month I get to celebrate so many of my favorite people (my husband, nephew, and oldest sister all have birthdays this month!). Most weeks I got 4 days of exercise in, minus last week where I only got 2. So I would call that a win-I'm definitely moving more than I was previously and I'm already feeling somewhat stronger and better. I had every intention of doing this last Sunday, but it just didn't pan out so I'm going to add it to my September goals! I have been crushing my reading goals this month! -Enjoy Our Trip to Nashville! We had an awesome time in Nashville that you can read about in my Nashville Recap! This was a total win for the month of August. I only threw out one thing-a package of cherries that turned out to be not exactly what I was hoping they would be. We picked up very few groceries this month as well, we were very much so trying to shop our "stash" of frozen food! I'm going to be a little more realistic with myself and plan for a minimum of three days of exercise each week. 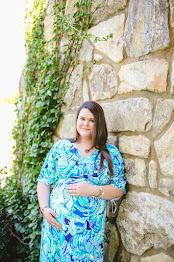 I'm hoping to at least have a little celebration at home, I can't wait to celebrate with him! -Celebrate Trystan and Dexter's Birthdays! I told you we were rich in birthdays this month! I've already purchased three Christmas gifts, now I just have to finish up the rest of my list! Ideally I would be done before December even gets here. I wanted us to get away to the beach, but I just don't think that's going to happen this year but I am looking at maybe Mentone/Little River Canyon in North Alabama for a short little trip! Well...let's see if I can do it! Tell me below what your goals are. . .
Great job on your August goals! I love that you added the goal about planning a getaway. That's such a great idea! Glad that you crushed almost all your August goals, and here's to checking off many more in your September goals!! I thought I was crazy for being excited about Christmas already, but girl, you beat me to it! I haven't even shopped for a single present yet hahaha. But I probably should. Time flies! It is brilliant to make the goal a little more realistic. You can always surpass it. I love that you are already on Christmas shopping. I think I will allow that to play in my background and move it truly into my list for October. 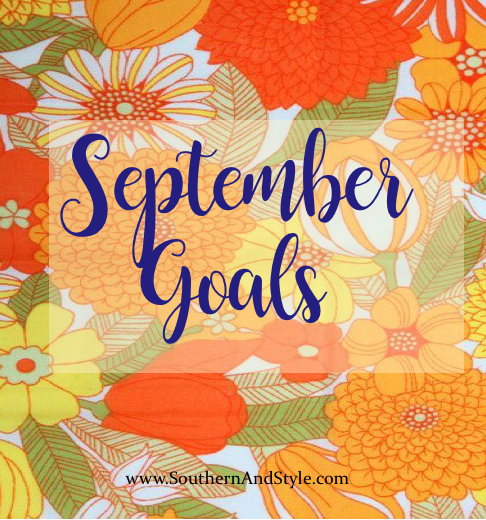 Your August goals are inspiring & September ones are so fun! I'll definitely check your Nashville trip! Awaiting your outfit posts as well!! Nice goals! I love reading other people's goals - it definitely inspires me to make some! These are such great goals! Thanks for sharing!